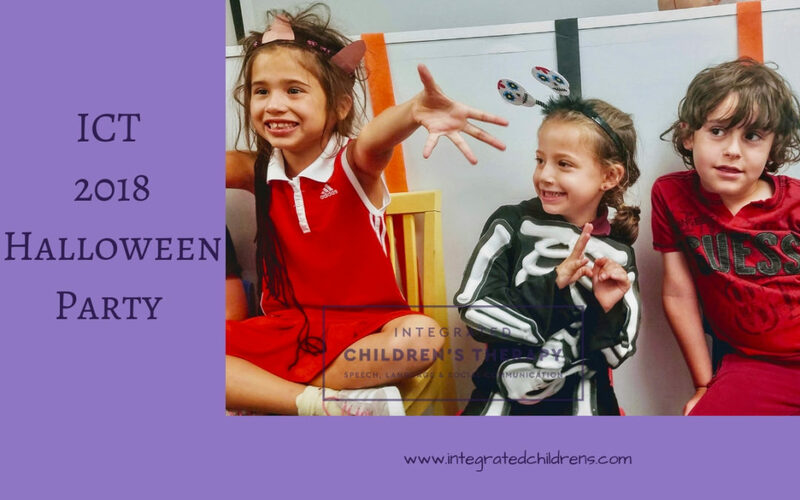 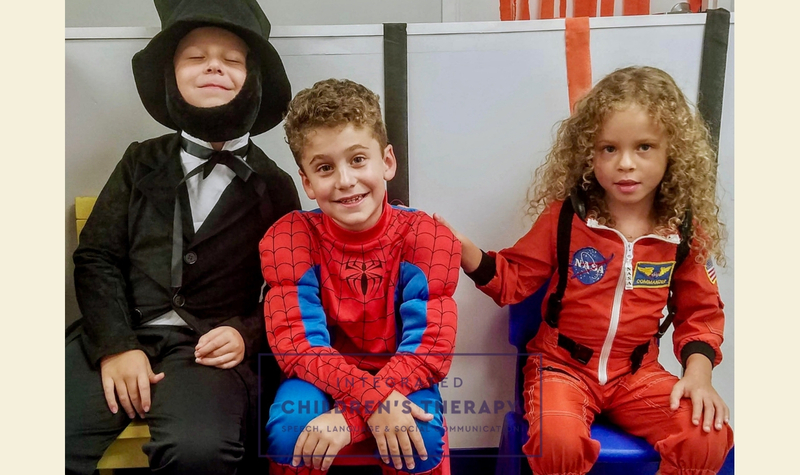 Our 2018 Halloween Party was a sensory-friendly, language-boosting blast. 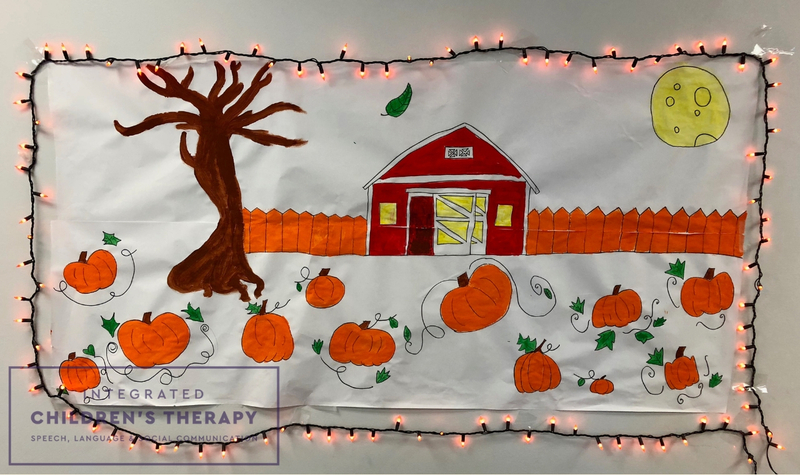 A special thank-you goes out to our teen group, who worked hard to decorate and plan. 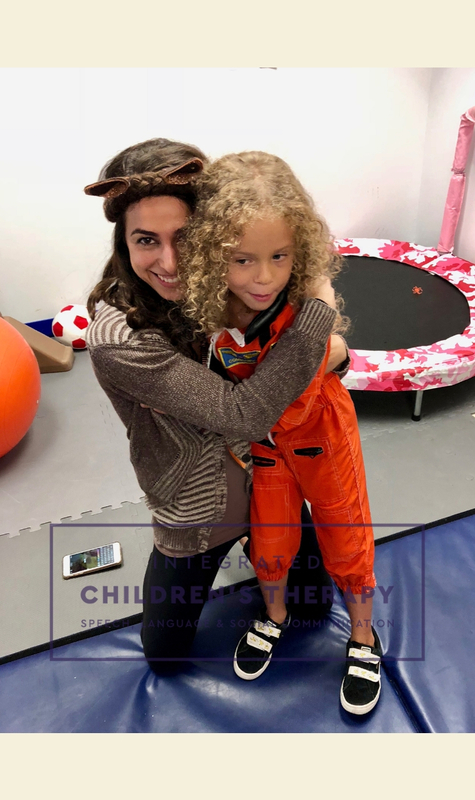 Thanks also to our therapists, staff, families, and especially our kiddos for a very fun afternoon! 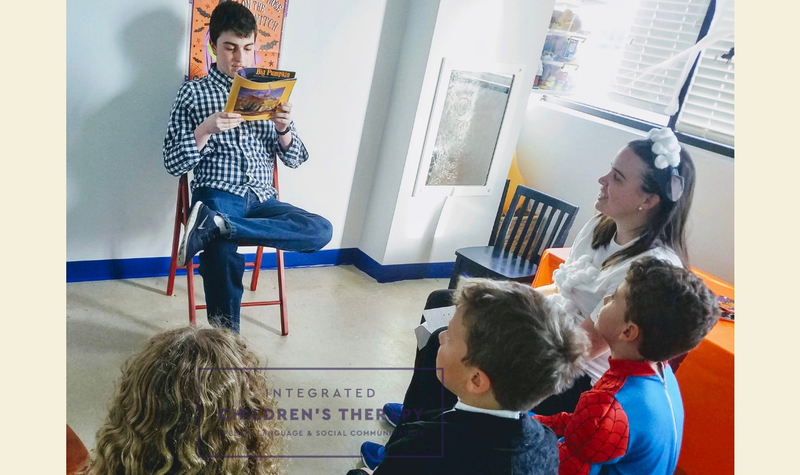 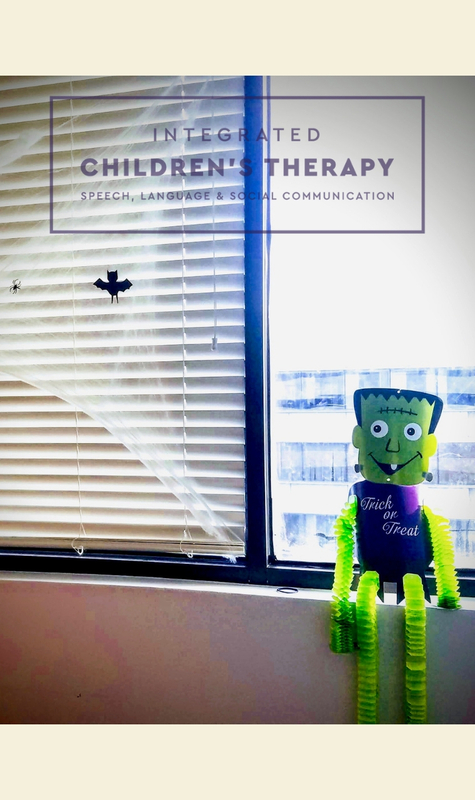 David, a member of our teen group, led Spooky Story Time with two Halloween classics: “Room On a Broom” and “Big Pumpkin”. 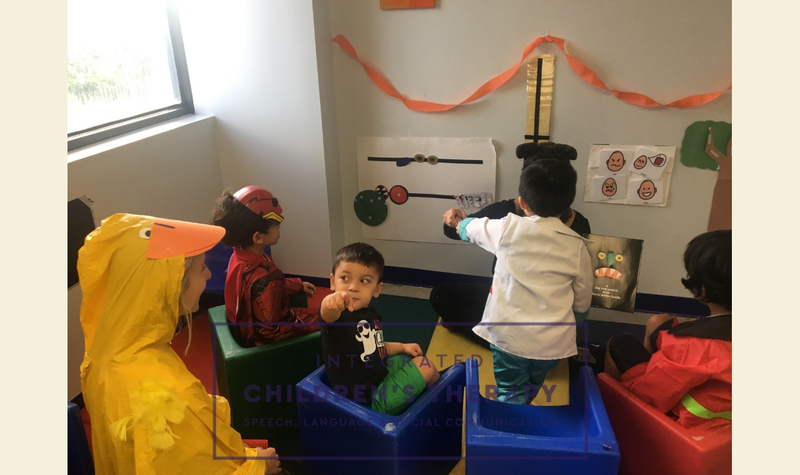 Our tots also enjoyed story time, listening to “Go Away Big Green Monster”. 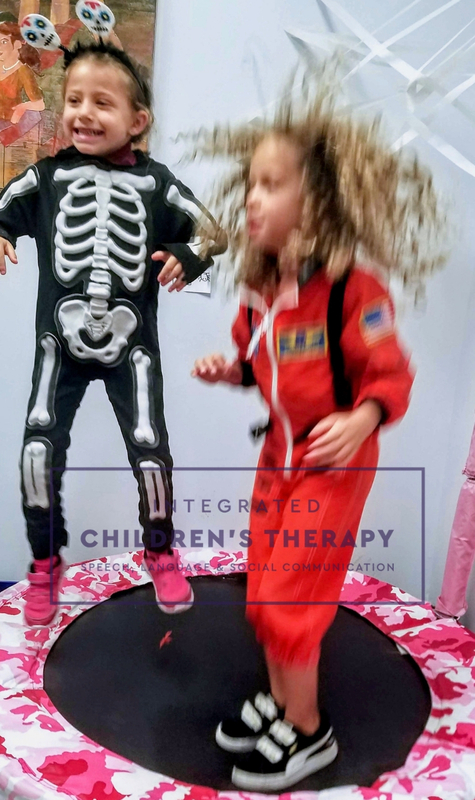 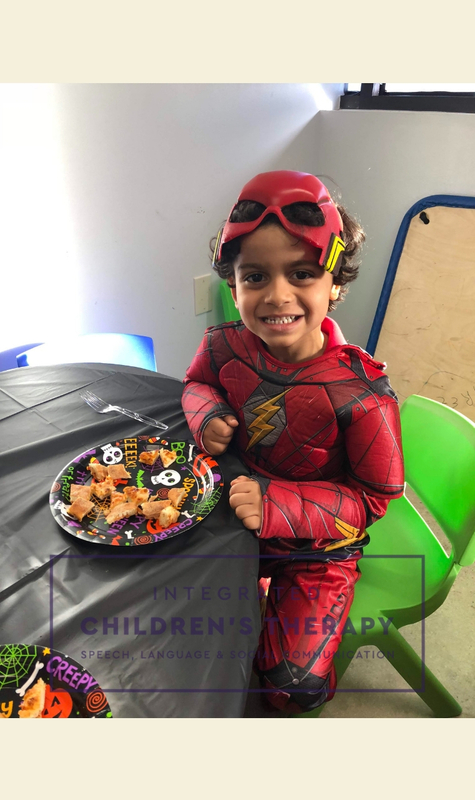 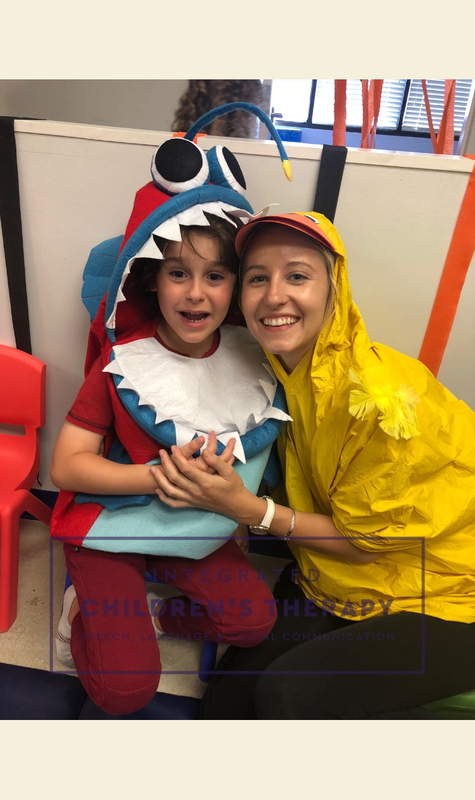 Occupational therapist Linda and her assistant Max (in first photo below) designed Frightful Movement Activities, including an obstacle course, monster mash freeze dance, musical chairs, and toss the pumpkin. 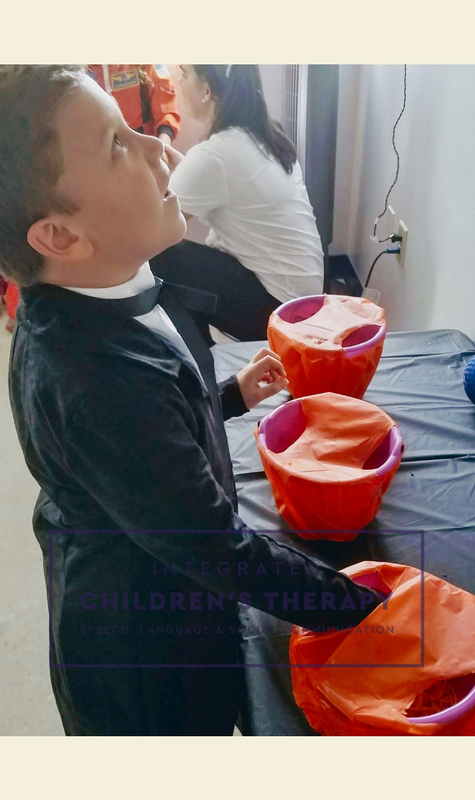 A favorite every year is our Erie Sensory Experience where children look, listen, touch, and smell as they guess what’s hidden in each sensory bucket: Worms (spaghetti noodles), eyeballs (grapes), and brains (jello). 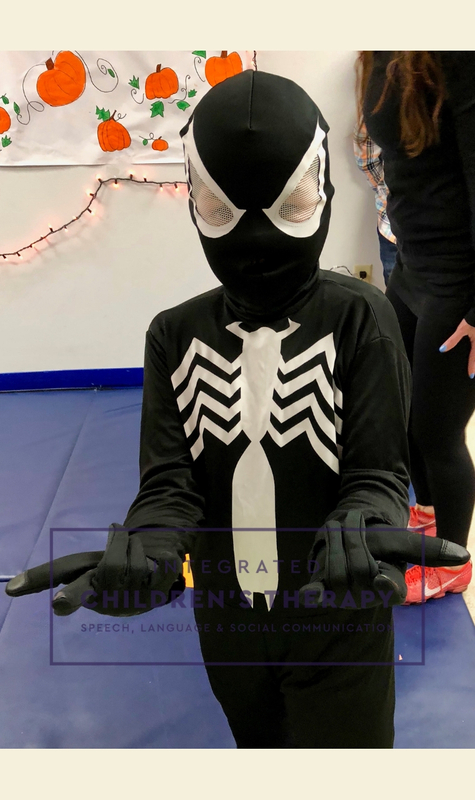 Speech-Language Pathologist Jacki and a member of our teen group led Haunted Yoga. 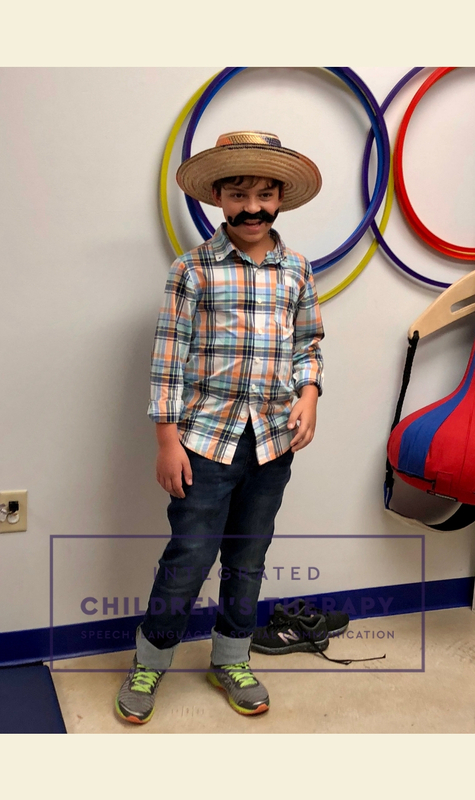 We loved seeing everyone in costume! 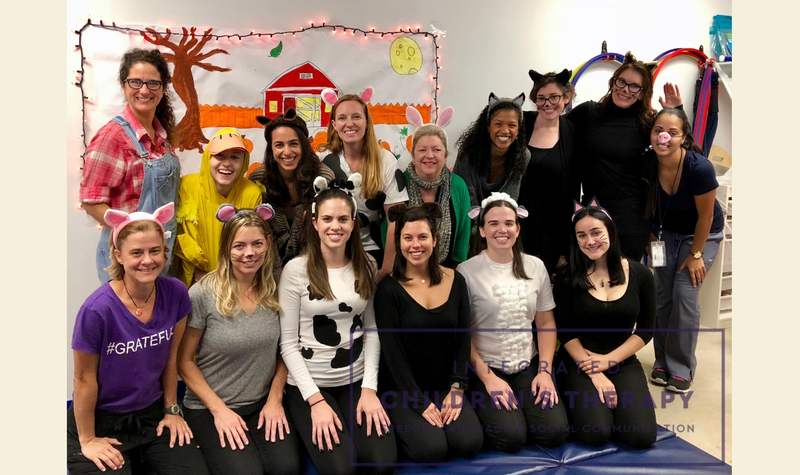 Our staff theme: Old McDonald Had a Farm. 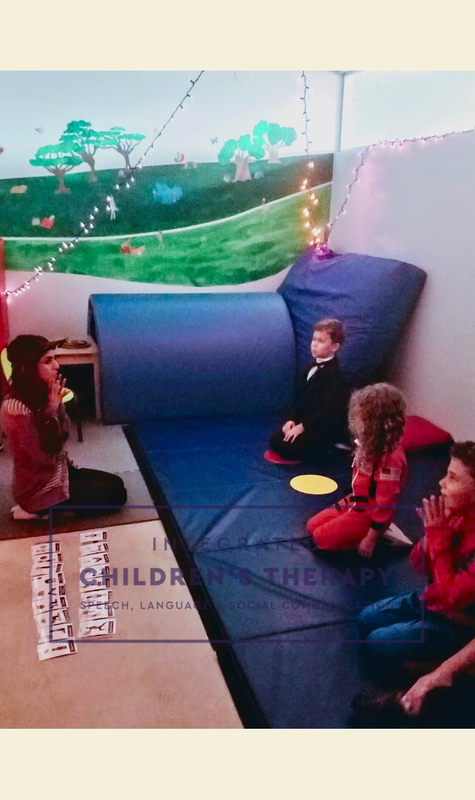 Our teen group did an amazing job decorating our space.